This exhibition of the Stiegl brewery prides itself for being the biggest in Europe, although there might be competitors in Dublin who would disagree on that. In any case, Stiegl took quite a bit of an effort to present the world of the "liquid bread" in the oldest part of the brewery, the former malt house in Salzburg′s district Maxglan. The exhibition that occupies 35,000 square metres presents the history of beer, the techniques to brew it, a "Stiegl Museum" and - of course - a beer hall to test the final product. 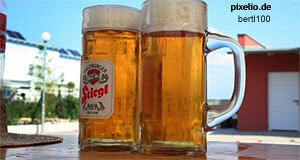 The Stiegl Brewery was founded in 1492 and therefore, it accompanied Salzburg trough more than 500 years of its history. Groups can get guided tours through the exhibition. The site also taking part in local traditions, "Jedermann" productions are played in the brewery, in autumn events of the "Bauernherbst" take place and in December a Christmas market is held. The beer hall is open all year round, though very touristy.